animated videos for business and teaching in minutes. 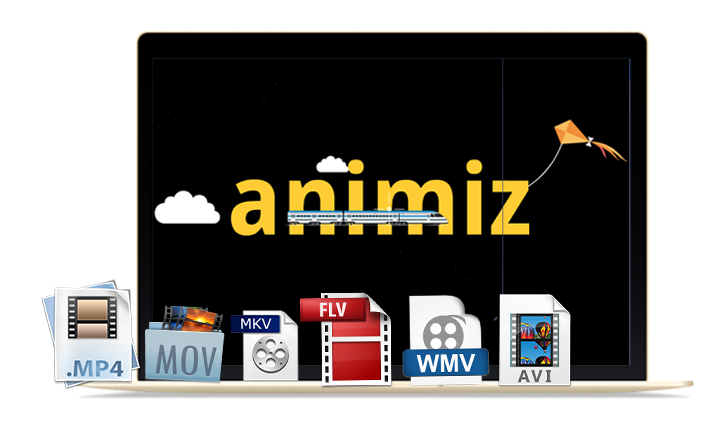 Animiz is a type of animated presentation software for Mac that can be downloaded freely by anyone to make animated video presentation. There are full outstanding features which can help you go straight forward to an appealing and professional video presentation. Just make full use of 300+ lively Entrance, Emphasis and Exit animation effects to embellish the objects in the scene, so that you can create your stylish video as you wish. Besides, you are allowed to set time alignment for the added animation effects, such as the entrance effects alignment, exit effects alignment and so on, which can definitely make you convenient in the total designing process. Right background music can benefit audience's mood and presentation atmosphere, and help to improve the animated video presentation into a higher level as well. 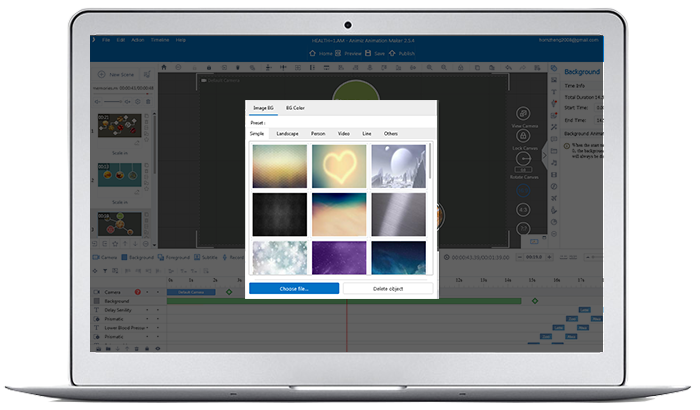 Except for the sound embedding in the scene, Animiz also endows you with the ability to add pleasing background music for the whole video project. The perfect combination of music and video scenes can really bring an enjoyable hearing and visual experience. Animiz video software is also powerful video to Gif converter software. That means all your created video presentation projects can be saved as Gif animation image simply and fast. Well, it can not only let you view your video presentation easily on the local, but also provide a new and modern way to make and customize Gif images. Many people would like to find an effective way to read or review their education and business video presentations even there is no Internet connection. In the Animiz presentation software, everything is so easy for the offline creation. There are 6 different types of formats your high-quality offline video: .mp4, .mov, .wmv, .avi, .flv, .mkv. And you can choose one of them based on your need. Furthermore, you are capable to customize the video size, frame rate and voice rate before publishing.